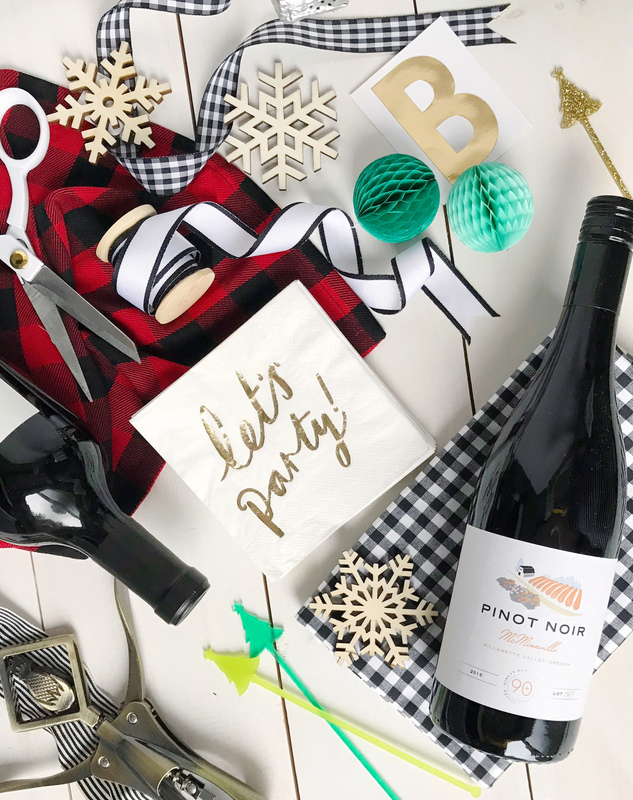 ‘Tis the season for holiday parties, and I don’t know about you, but I feel like I’m grabbing a bottle of wine every weekend this time of year to bring to a friend’s house, a family party, or another seasonal celebration. A bottle of wine or prosecco is everyone’s go-to hostess gift, and for good reason, it’s useful and delicious! I often struggle though with which wine to select, and how to make it stand out among the sea of other bottled hostess offerings. 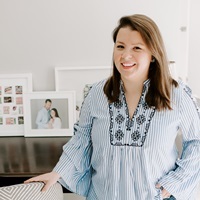 Which is why today, my friends at 90+ Cellars helped me out with recommendations for 3 different bottles of wine, at 3 different price ranges, to find the perfect option to bring to 3 different types of events. 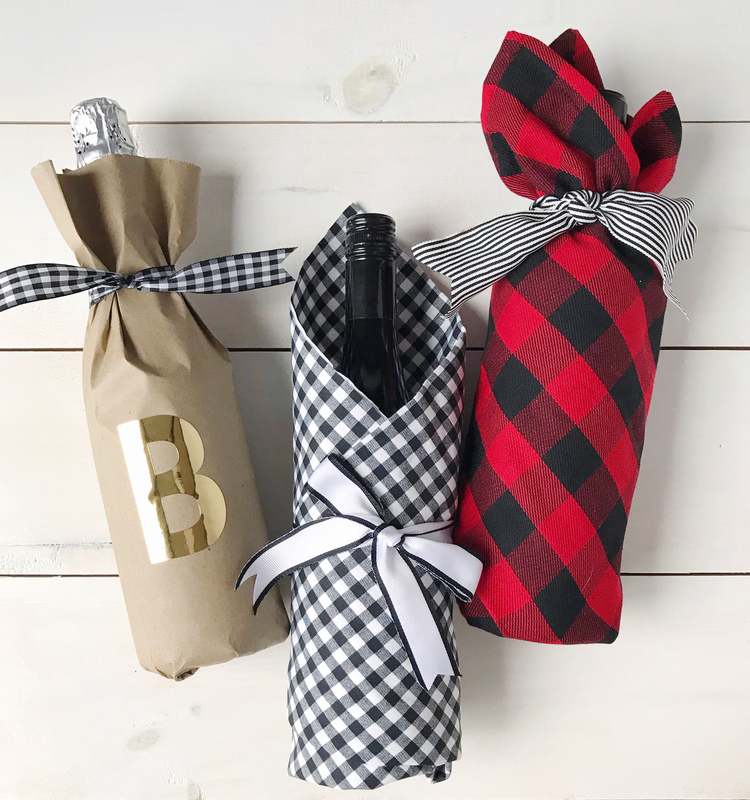 To finish off your wine-gifting to-do list, I’ve come up with three easy ways to wrap and present these bottles so you’ll be on every hostess’ good side this holiday season! #1. I’m popping by for a holiday hello. 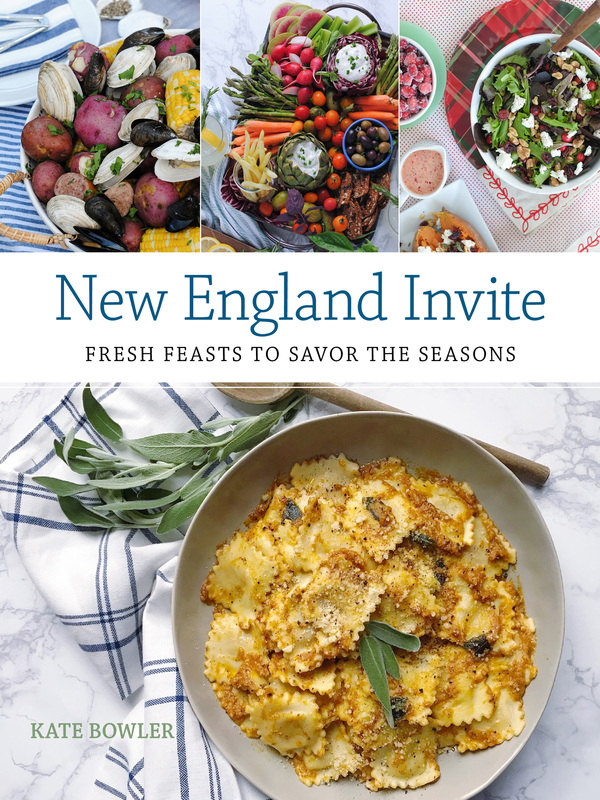 You know this event: it’s a swing-in-for-a-hello type of party, a friend’s holiday open-house, or a casual brunch with girlfriends. For this type of gathering I’d bring a bottle of something bubbly, like the Lot 50 Prosecco. This falls into the $12 range, it’s affordable but high-quality enough to gift to the hostess. 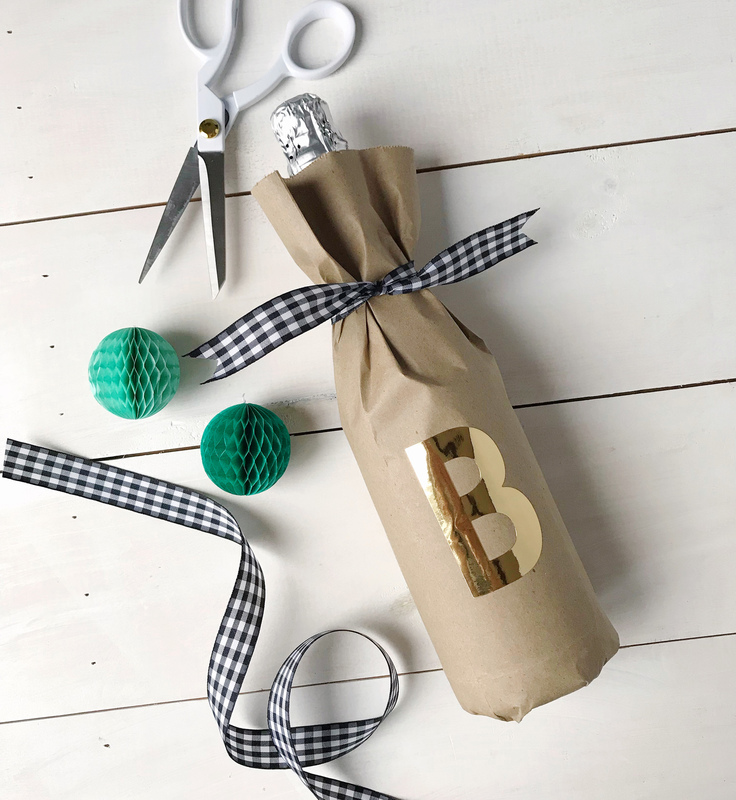 To keep the wrapping job on the cute-but-casual level of your event, I’d roll the bottle up in a simple brown paper bag with a decorative ribbon. To add a special touch, use metallic alphabet stickers to spell out a message or customize the bag with your gift recipient’s initials. #2. I’m sitting down for a holiday dinner. The work that goes into hosting a holiday dinner party is more than meets the eye. Your host didn’t just cook a dinner, he or she likely spent days cleaning the house and washing glassware and ironing tablecloths and grocery shopping. All of that work deserves a bit more recognition and a wine that says thank you. My wine-experts at 90+ Cellars recommended a Lot 145 Pinot Noir for the occasion. It’s a smooth, medium-bodied red wine with a relaxed freshness that pairs well with a range of dishes served in a typical holiday meal. 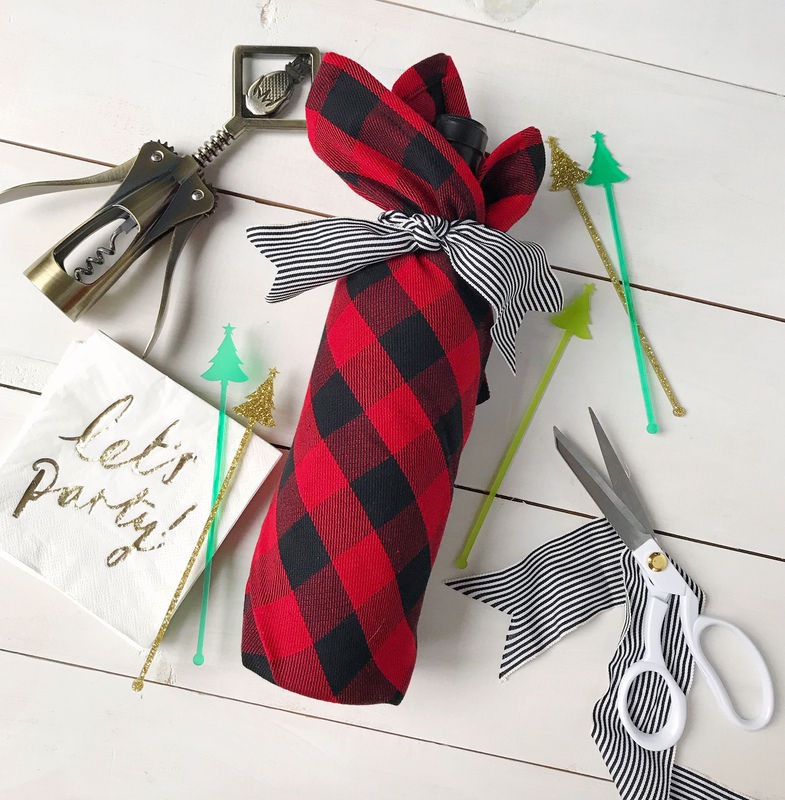 To take the wrapping job to the next level for this wine’s occasion, I started with a piece of flannel cloth. 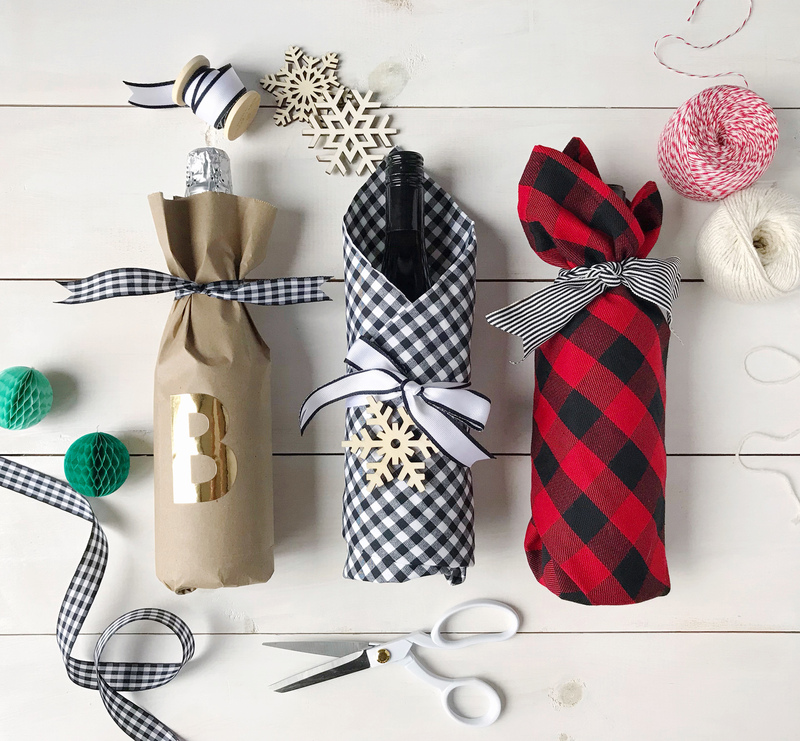 Cloth is actually much easier to work with when conforming to the round shape of a bottle, and gives a warm, cozy, seasonal texture to your gift! To give the wrapping a special touch, use a wooden ornament as a gift tag, and write a note on the back with a seasonal message and the year. The ornament can be repurposed for the Christmas tree, and a fun reminder of the party in years to come! #3. I’m staying over for the holiday weekend. This hostess gift level says: you’ve cleaned the house, you’ve made me dinner, and I’ll be here for breakfast too! Staying over for a holiday weekend with friends and family requires a bit more thanks, because the host has opened up their home to you and will probably see you in your pajamas. Bring a nice bottle of wine, like the Lot 94 Cabernet Sauvignon, that is delicious, versatile, and perfect for drinking through the cold-weather months. 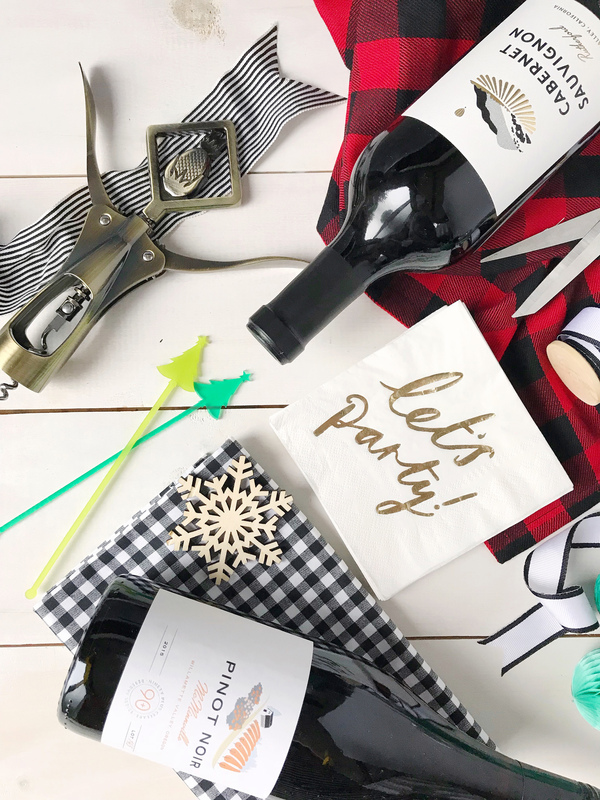 To make a statement with a nicer bottle of wine, give the bottle as part of a bigger gift paired with a few other entertaining accessories. 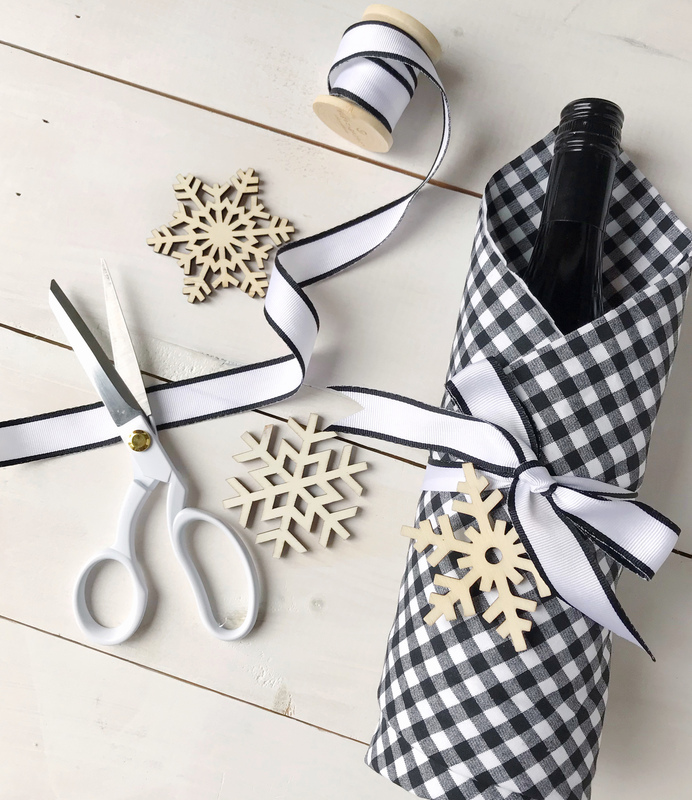 Wrap the bottle up in a seasonal tea towel, include a high-quality wine opener (this one has pineapples on it – a symbol of hospitality!) and tuck in some cocktail napkins or wine charms to finish the whole thing off. Now, tell me in the comments what the best hostess gift is you’ve ever received! I’m always delighted when a guest brings wine, the more the merrier. Please note: This post was created in partnership with 90+ Cellars. All opinions, images, and content are my own. One Response to "Hostess Gifts, Wine, and DIY Wrapping Ideas."